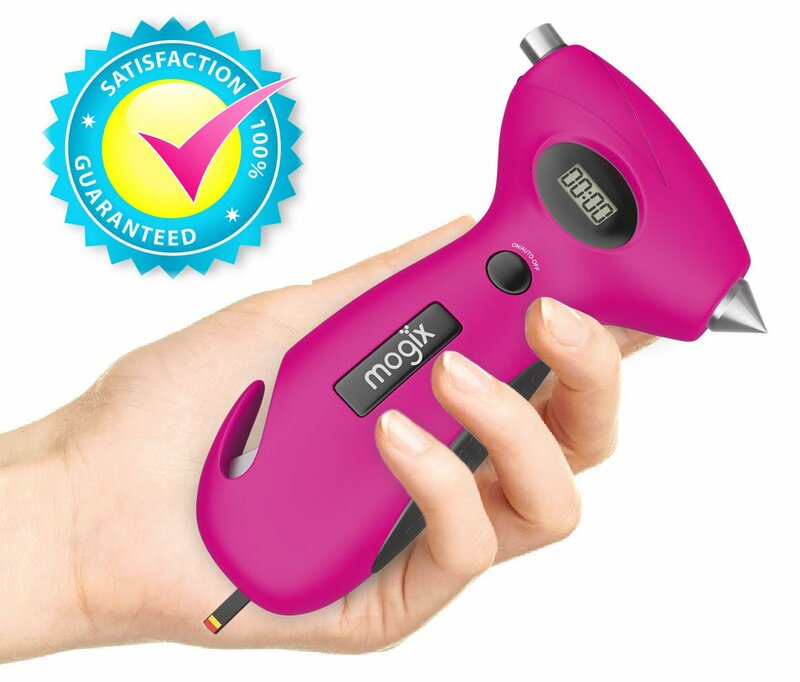 Home › Energy-Efficient LED Lighting › Mogix Accessories Tire Pressure Gauge With Auto Rescue Tool Features Digital ..
Mogix Accessories Tire Pressure Gauge With Auto Rescue Tool Features Digital ..
EASY TO READ - This digital tire pressure gauge has the light centered just right so you never have to second guess what your tire pressure reading is - Dusk or Dark! SAVE AND SAFE WITH MOGIX - Save MONEY at the pump with improved gas mileage that you can take to the bank just by regular tire pressure checks! Plus, you're purchase is safe with us - 100% Satisfaction Guarantee Today! Color: Pink Easy hand-held device for anybody to use. With a nice ergonomic hand grip and our large digital screen you won't be disappointed! Plus, we made sure that the flashlight is positioned just right under tire pressure valve so the brilliant white light will make for a quick reading in any dark gas station parking stall. Save on Gas - By checking your tire pressure regularly and keeping your tires properly inflated you can save both money at the pump as well as feeling good about being green. We suggest you keep this safety tool in your glove box or in your drivers door compartment for easy access. Accurate readings in 3 measurements - KPA, BAR and PSI. For U.S. the most common measurement used is PSI. Auto Emergency Tool - These features show that this automotive gadget is the best for your car safety. This 5 in 1 tool not only sports an impressive digital read-out but also includes: A seat belt cutter, car glass breaker, flashlight and a tire tread depth gauge (remember, if your tread reading is in the red your tire life is dead). Just a dog-on great guarantee... We are a family owned, dog loving company, at your service & ready to playball! Our mission is to give you honest information, 5 star customer servicewhile building a long term relationship with our customers. Let us prove it toyou - If you're not happy with your tire pressure gauge we'll replace it orgive you a full refund, no questions asked!